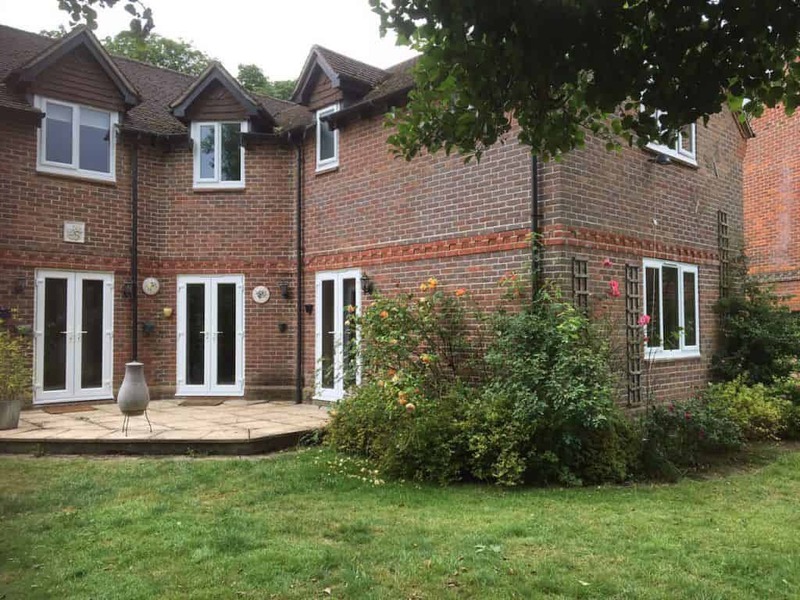 uPVC Casement Windows from uPVC specialists, Liniar, make a stunning addition to homes like yours throughout Reading, Henley, Wokingham, Didcot, Basingstoke, Berkshire and the Thames Valley area. With Abbey Windows you can choose Liniar’s fantastic, state of the art uPVC casement windows in Reading properties, supplied and fitted by Abbey Windows. An extremely popular double glazing option, you can transform the appearance of your home with these hand finished windows. Our uPVC casement windows offer a wide variety of benefits including superior security levels, increased energy efficiency and are available in a range of attractive colours and finishes. As well as this, all of our casement windows are guaranteed for a minimum of 10 years. Our casement windows are the perfect option for any style of property in Reading. Whether you own a new build home or live in a more traditional period property, these uPVC casement windows provide a universal design that is suitable for all. What’s more, a casement window from Abbey Windows is extremely low maintenance, never requiring repainting or varnishing like previous timber alternatives. If you’re looking for a highly versatile, durable and flexible double glazed product then choose our casement windows in Reading. 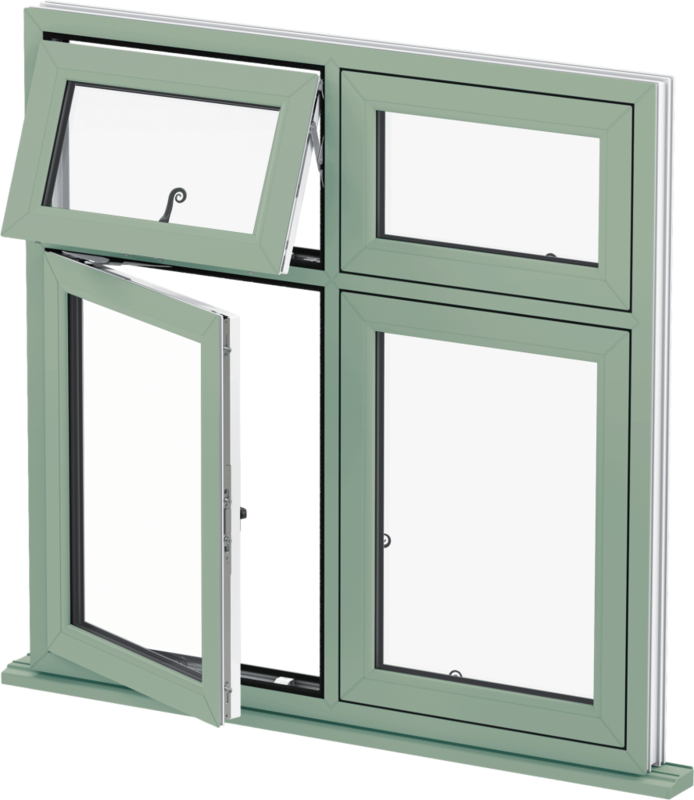 If you’re looking to enhance the functionality of your casement window, then you can opt for the Tilt and Turn variety. This design holds many benefits, including easy access cleaning in high-rise accommodation. 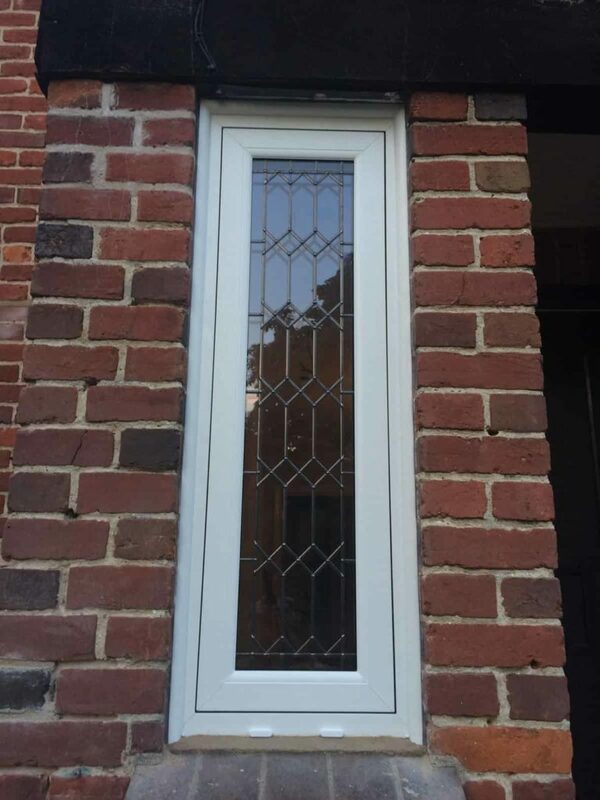 Alternatively, you can choose the Flush Casement variety, which combines the traditional aesthetic of timber, with all the modern innovation of uPVC. Are you looking for an instant windows cost? Don’t hesitate to use our free online quote generator to benefit from our competitive casement window prices in Reading. Liniar | The Market-Leading Choice For Your New Build. Happy Customers: uPVC Windows in Henley-on-Thames. Get an instant online price with our easy to use quoting engine. With ultra slim sightlines included you can enjoy a larger area of glass, improving views outwards and light inwards. Create the illusion of space with our beautiful uPVC Casement Windows. 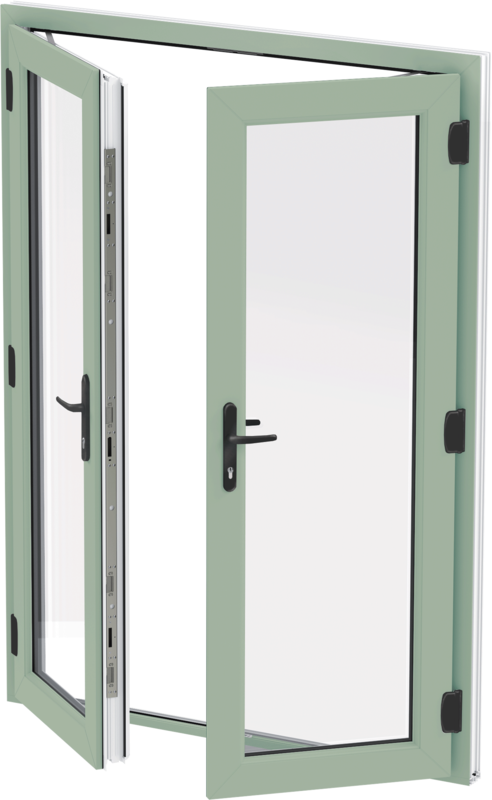 With Liniar double glazed window profiles you will benefit from a Window Energy Rating of at least A+14. Accredited by the BFRC, our double glazing will keep your property warm and cosy no matter the season. Casement windows include stainless steel friction stays which offer increased security and have been tested to 20,000 cycles. You can rest assured that our uPVC windows will keep your property as safe as possible. With our uPVC casement windows you can opt for a chamfered rebate detail which creates a simpler and more modern appearance. Your new uPVC windows can be tailored to perfectly complement your Thames Valley home. You will receive high security from Yale's shootbolt locking systems which also comes with a 10 year insurance backed guarantee. In the unlikely event of a break-in, you'll also receive £1,000 towards your contents insurance. 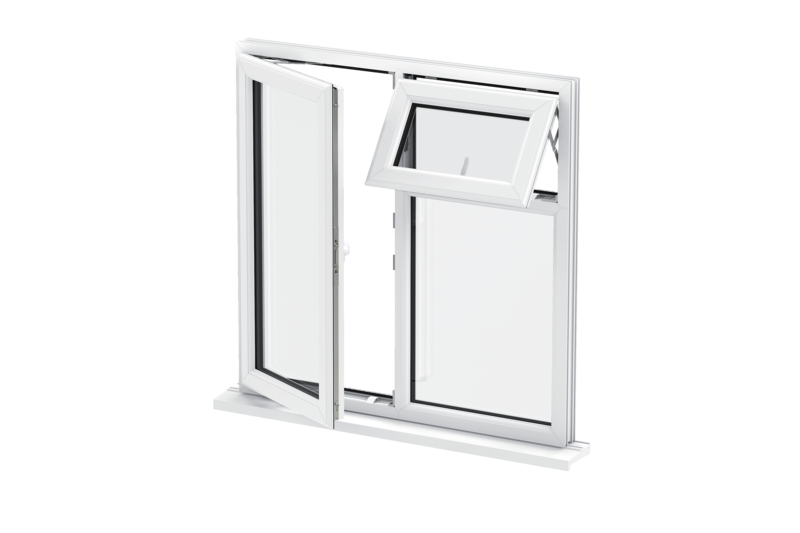 The Stay Guard Elite device in our uPVC casement windows withstands twice as much force required by the Secured by Design testing. Our uPVC windows are also internally beaded, meaning that potential intruders can't remove the glass from the outside. The right colour to suit any property. With a range of colours available, choose from the traditional white PVCu, to Chartwell Green. uPVC Window Installation in Reading, by the Abbey Windows team! 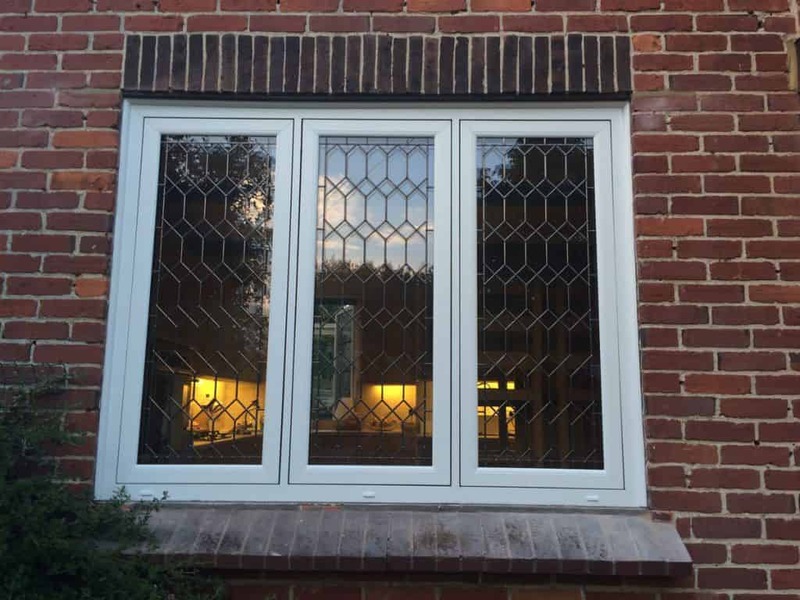 Our customers in Reading were looking to replace their outdated wooden windows with something more contemporary, that offered improved energy-efficiency and security for their home. 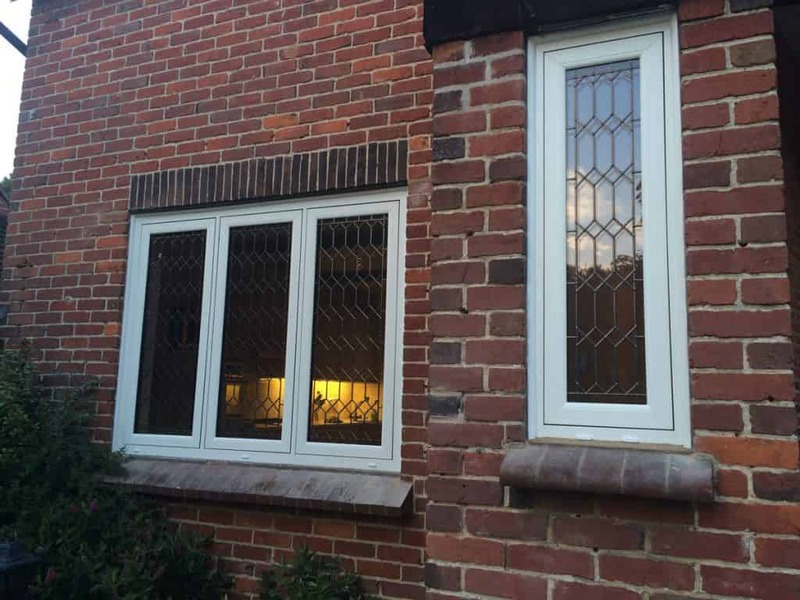 They were concerned they wouldn’t be able to achieve the same traditional aesthetics that their old windows provided, but we explained that our exceptional uPVC windows could be tailored to their exact ideas and specifications. We showed our customers some designs and got started straight away. The installation didn’t take long and our expert fitters took care to clean up after themselves as they went along, as well as after each day of work. The installation didn’t take long and our expert fitters took care to clean up after themselves as they went along, as well as after each day of work. Our uPVC window and door frames are of excellent quality, and our uPVC windows and doors feature a multi-chambered design to enhance heat retention and efficiency. Accredited by Secured by Design, our uPVC windows have been designed to keep Reading property safe and sound. Our Reading customers were so happy with the end result that they sent us some photographs and the following positive review! Just a quick note to say how pleased we are with the new windows and how the installation went yesterday. The two Chris’s and Liam were excellent. They worked really hard, were courteous, professional and did the job with as little fuss and mess as possible. I thought I’d send you some pictures. The first one is how the original windows looked and the rest are the new installation. The whole idea was to replace the old, dysfunctional and rotting 1930’s windows with new modern ones whilst keeping the style of the house the same, as the detailed leading was such a distinctive feature of the property. As you can see this is exactly what was achieved and we really appreciate your hard work getting the frames and lead design just right. We like that we removed one vertical lead pattern from each window as this has also had the desired effect of increasing the light in the rooms. Have you been inspired by our happy customers’ new windows? Call us today for your bespoke consultation! Our team of experts will be happy to arrange an appointment where we can go through some ideas and find the perfect uPVC windows for you and your home. If you would like to make an online quote, visit our easy-to-use quoting engine! You can choose how your new windows will look and get competitive window prices in Reading and surrounding areas. 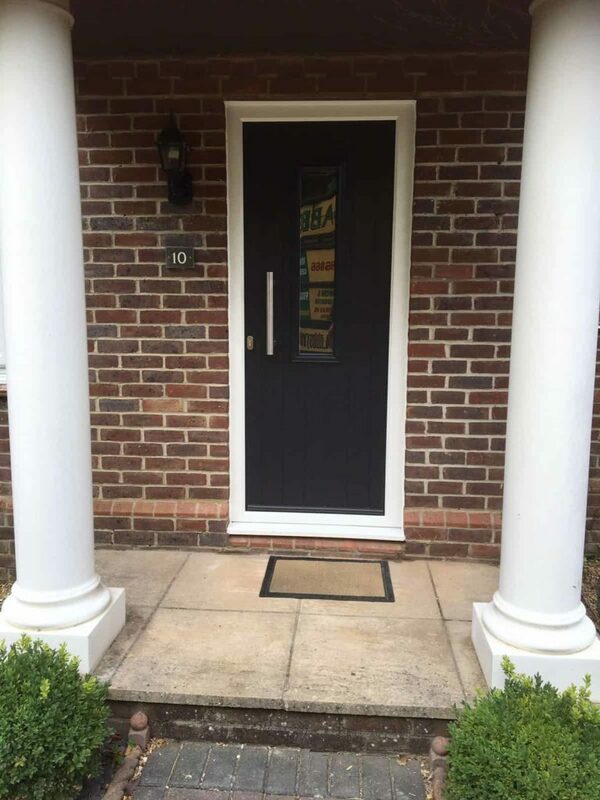 Stunning replacement windows and doors in Reading by Abbey Windows! Does your Reading home need better double glazing? We are the experts when it comes to replacement windows and doors, and we have an excellent double glazing installation story that we would like to tell! We were approached by a couple that had recently purchased a large house on a maintained private estate. The existing double glazing included wooden windows, that offered little to no energy-efficiency and required constant cleaning and attention. We recommended our beautiful uPVC window and doors range to our Reading customers, as they offer superb thermal-efficiency and can be tailored to all kinds of styles and property types. The double glazing survey was conducted prior to the customer moving in to ensure that the customer could have their replacement windows as soon as possible after they moved in. We always want the installation process to be as simple as possible, which is why we listened to our customers needs and arranged the double glazing installation to suit them. We always want the installation process to be as simple as possible, which is why we listened to our customers needs and arranged the double glazing installation to suit them. 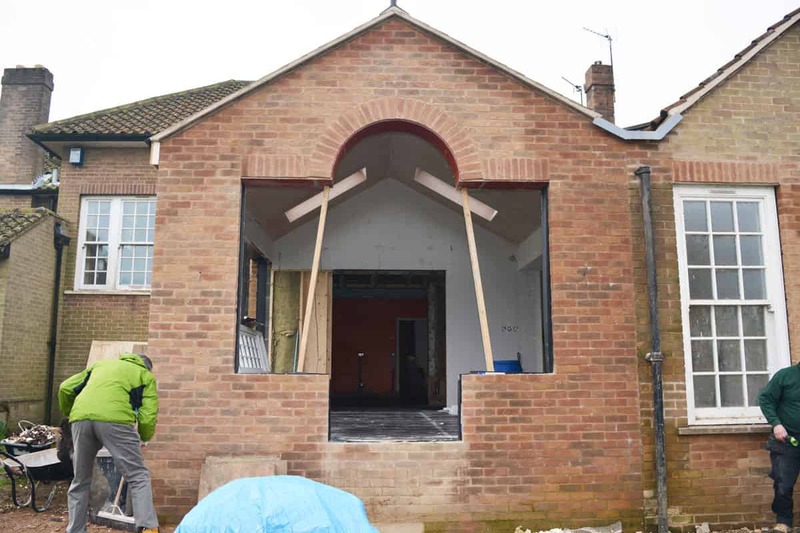 Abbey actually installed the windows and doors on the week the customer moved in allowing them to get on with all of their other renovation works without delay. Our double glazing are always fitted carefully and with as little impact to your day to day life as possible. They are incredibly secure, fitted with Yale locking systems that are Secured by Design accredited, and offer the very best energy ratings on the market. Our customer was over the moon with the products and the energy saving benefits over the old wooden windows as well as the fact that they no longer have those astronomical decoration bills. Their new house looked far more contemporary than before, and has already benefitted their utility bills! Have you been inspired by our customers’ new replacement windows? Start your online quote today for competitive window prices in Reading – our simple quoting engine will give you double glazing quotes in Reading that are tailored to your design choices. If you’re looking for more information, call us on 0118 956 6866 or complete our online contact form. One of our helpful advisors will be in touch to discuss your new replacement windows! Beautiful Extension with French Doors and Flush Sash Windows carried out by the expert Abbey Windows installations team. Our Wokingham customers wished for more space out the back of their property, as they were looking for a bigger area for their children to play in but they really weren’t keen on the idea of moving house. They opted for an extension to solve this problem, complete with large flush sash windows and Liniar French doors to the rear of the property. They also decided on some glass windows within the roof to let in more light. Keen to get started, the Abbey Windows installations team paid our Wokingham customers a visit to take measurements and ensure the customers were happy with the double glazed windows and doors they had chosen. The family chose our ever popular Flush Casement Windows for the rear of the new extension. Flush sash windows are the latest exciting development from Liniar, offering the realism of a traditional pre-1932 timber window combined with 21st century thermal benefits. Many property owners require a traditional timber window frame, sometimes due to planning or environmental restrictions. 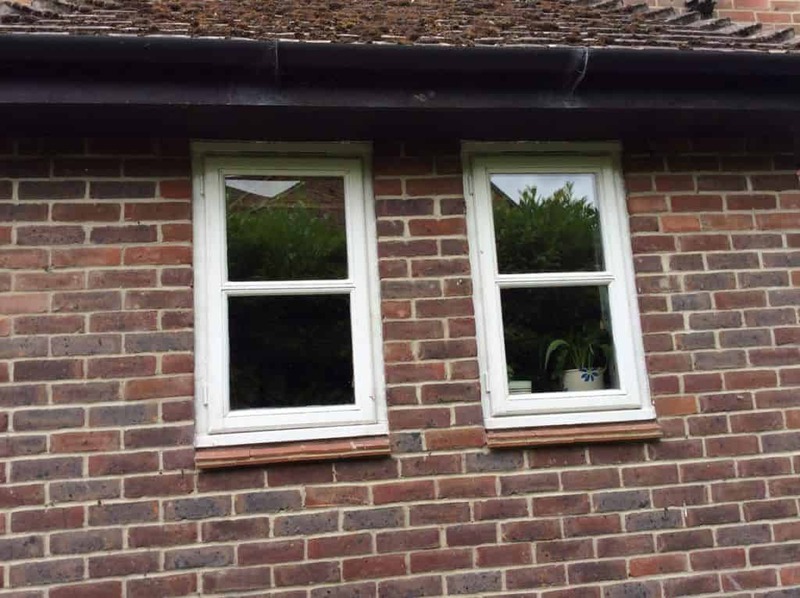 Liniar saw the need to develop a casement window frame that would fit into any property where the sash fitted flush into the frame – and which could be foiled to look like traditional timber or to offer a sleek, contemporary finish. Opting for the beautiful ‘Chartwell Green’ foil finish, our Wokingham family went for a classic finish with a pop of colour. Available in a range of colours, our Flush Casement Windows can be designed to suit all kinds of Wokingham homes. 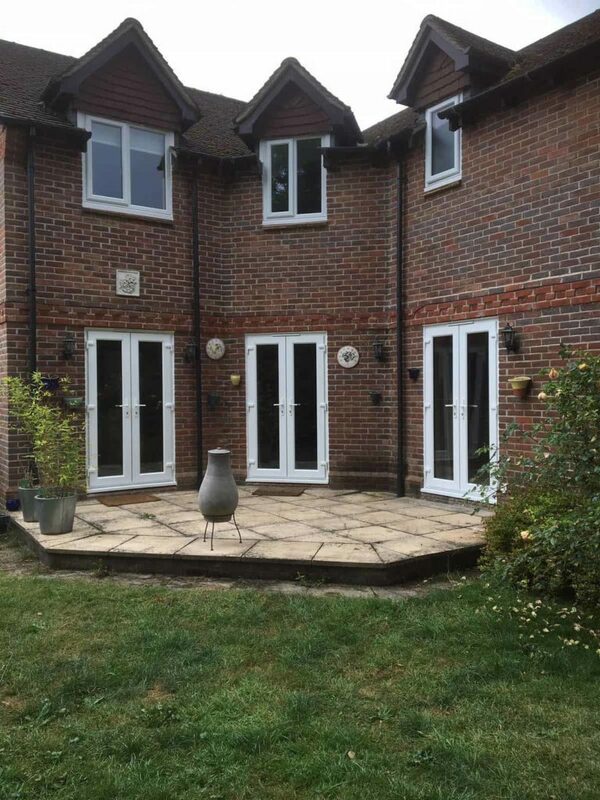 Choosing a set of uPVC French Doors for the rear of the property, our customers were looking to bring light and the illusion of space to their Wokingham property. 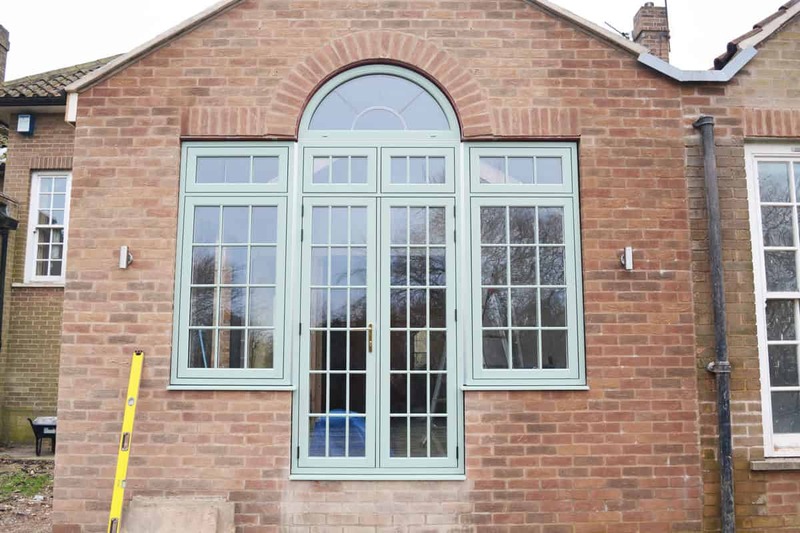 They chose a matching ‘Chartwell Green’ to complement the windows, and wanted to create a seamless connection between their home and the outside world. Our uPVC French Doors are an excellent addition to an extension, as well as conservatories or living rooms. Once our customers had decided on their double glazed windows and doors, the Abbey Windows installation team got straight to work. Famous for quick installations that are always of high quality, our team worked very quickly with care and consideration not to impact on our customer’s daily lives. Our customers were incredibly happy with the installations, and are very pleased they now have a bigger area to relax in that their children can use as a play room all year round. 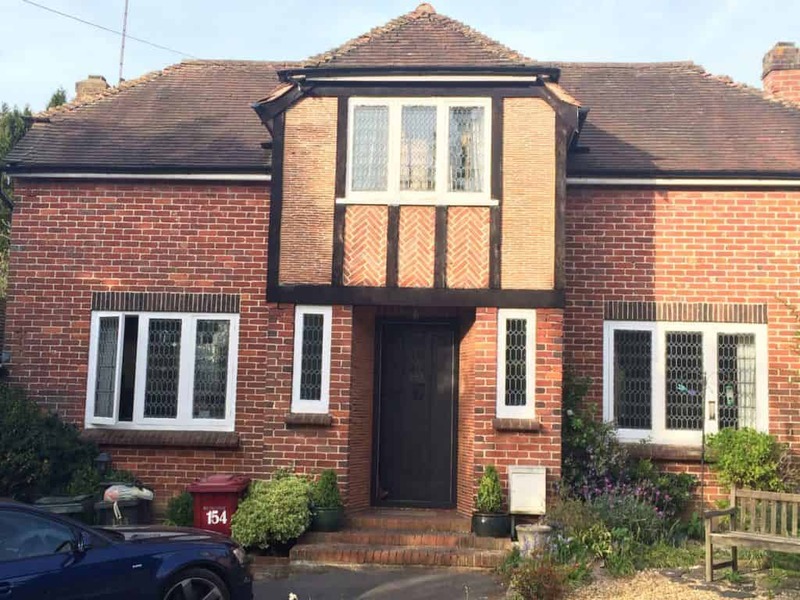 They’re pleased to have added value to their Wokingham property in case they decide to move in the coming years, and will certainly return to Abbey Windows for any future installations or home improvements they may have. If you’re looking to add value to your home with our beautiful double glazed windows and doors, start your instant online quote today. It’s easy to input your measurements and obtain competitive double glazing prices in Wokingham. For more information on our beautiful double glazing products, give us a call on 0118 956 6866 or complete our online contact form. We’d be delighted to assist you in your latest Wokingham home improvements.